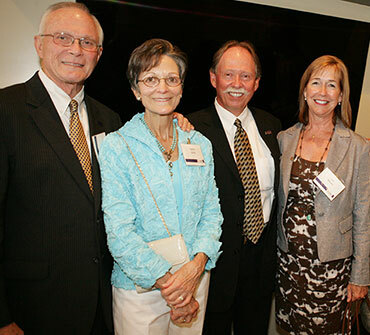 David Means’ reason for joining the LSU Foundation as a member is simple: he was asked. Since becoming members five years ago, he and his wife, Elizabeth, have been increasingly involved in the Foundation’s efforts to support LSU. “I have a passion for the academic side of the university and thought it would be a good place to get involved,” Dave explained. When Dave was asked to join the LSU Foundation Board of Directors shortly after becoming a Foundation member, his desire to give back to his alma mater prompted him to respond with an overwhelming “yes.” Dave, an attorney and cattleman, was impressed by the board members’ level of character and quality, and he decided he wanted to be a part of the group he held in such high esteem. Dave shared that, in his five years as a member, he has seen the Foundation grow in its fundraising success and its number of members, but that there is always room for growth. David B. Means III and his wife, Elizabeth, are residents of Gloster, La., and are staunch supporters of the College of Agriculture. In 2007, Dave was named the College of Agriculture Outstanding Alumnus. He is actively involved in the College of Agriculture Dean’s Council, Agriculture Vision 2030 and the LSU Alumni Association. Published in Cornerstone Winter 2013 and Spring 2014.